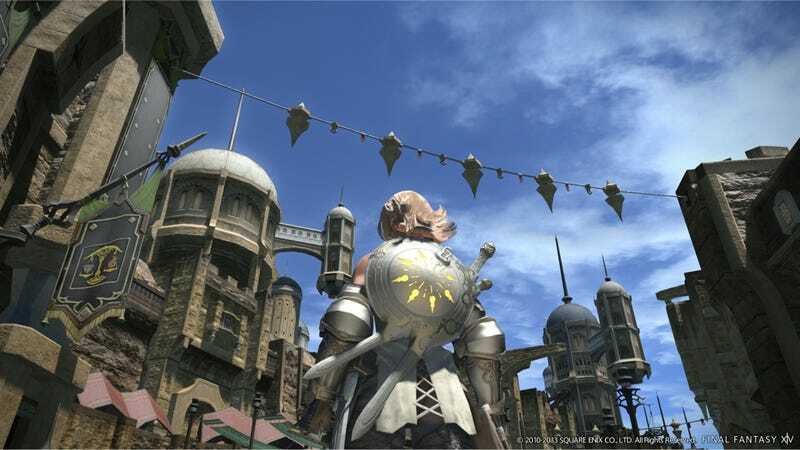 Final Fantasy XIV: A Realm Reborn's launch is experiencing crowded servers. So what is Square Enix's temporary workaround? Stop digital download sales. Launch headaches are fairly common for big MMOs. On Square Enix's Facebook page, of course there are FFXIV players upset about the congestion, the inability to play, and Square Enix's shortage of servers. Some, however, are looking at this in a positive light: MMOs that start off like this must be good! Ha, that's not always true and don't take this heavy congestion as a Good Housekeeping Seal of Approval. Just be prepared for a variety of issues as the game launches.